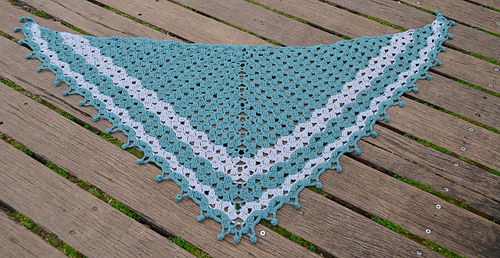 Triangular shawl pattern, worked topdown. 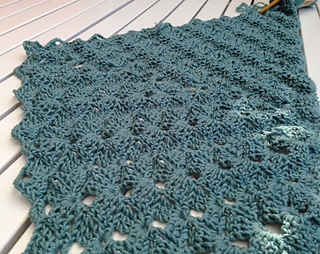 Increases are made both in the center, and at the sides, so your shawl will grow row after row. 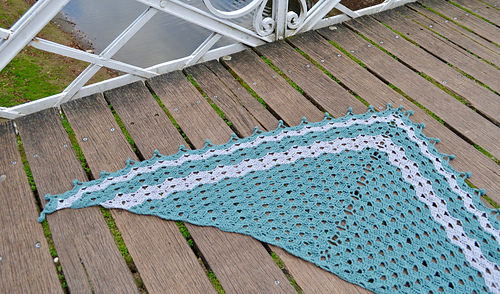 This also means you can choose how big you want your shawl to be ! 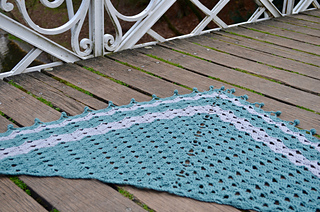 (note : if you make a larger shawl, you will need more yarn). 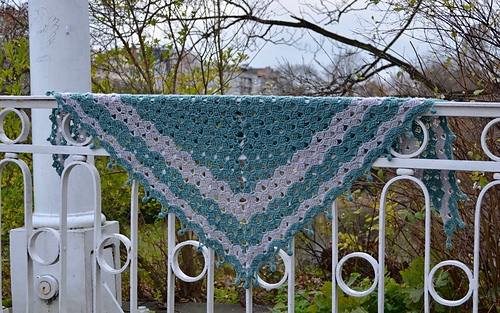 Measurements of my shawl : 170cm/68in wide and 80cm/32in high. 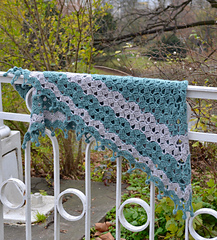 The stitch pattern creates a lovely textured effect. 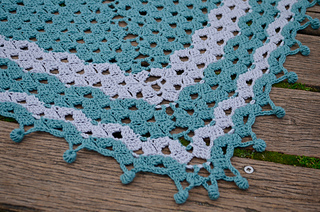 Fully written pattern, in English (US terms), and in Dutch. 2 charts and a drawing added. Tested by my testing panel !